The Brighton Public Golf Course is located in the southern suburbs only approximately 10 minutes from the Melbourne CBD. The course is an 18 hole, par 67 public course along Melbourne’s world renown Sand Belt and is one of the busiest public golf courses in the city. 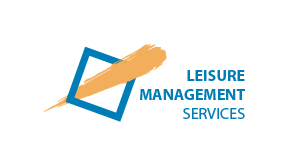 LMS provides the day to day management and operation of the facility under lease from the City of Bayside. A park land design with tree lined fairways, sloping greens and numerous bunkers, Brighton offers a challenge for all levels and an enjoyable game for all. The course offers a large amount of native trees and birdlife, narrow fairways, small well bunkered greens and great drainage (to enjoy fantastic fairways all year round) to add to the golfing experience. The facility also offers a golf coaching area, driving range, fully stocked pro-shop and cafe.